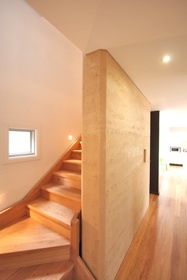 The use of insulation is required in cold climates for external walls. I have had a problem with them in that the life cycle analysis doesn’t look so good. 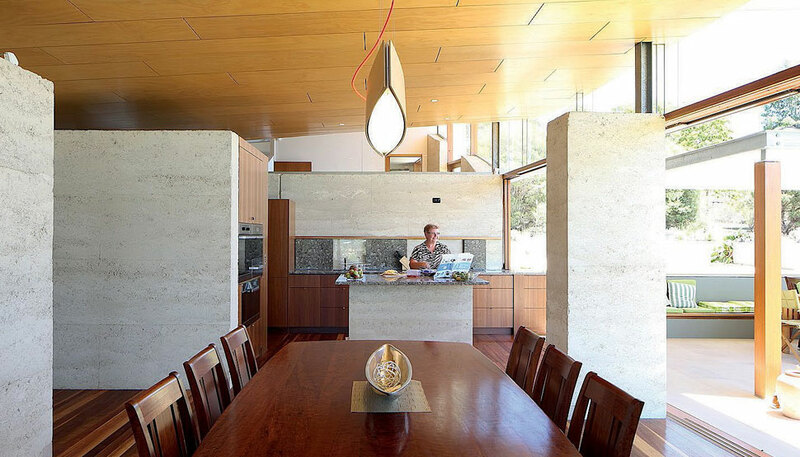 Buildings all have a lifespan, which appears to be decreasing, and the styrofoam insulated rammed earth walls are not able to be put straight back into the earth like traditional rammed earth walls. In the plastic age we live in, styrofoam is the worst offender of a legacy we are leaving in our environment. 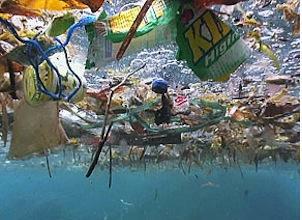 Our seas are increasingly being loaded up with microscopic broken pieces of plastic that will never disappear. This is killing wildlife and entering our food chain! The book “Plastic Ocean” is an excellent book on the subject and does offer realistic solutions to this massive problem. 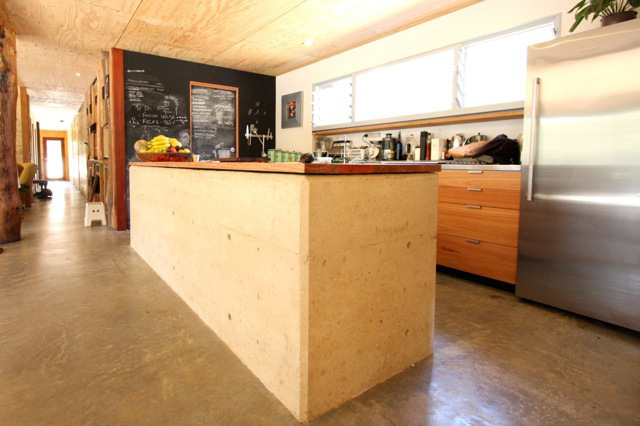 I recently found a great alternative to using styrofoam in insulated rammed earth, Mushroom Insulation. It will ‘soon’ be available commercially from ecovative, as insulation with a comparable R and cost to styrofoam. 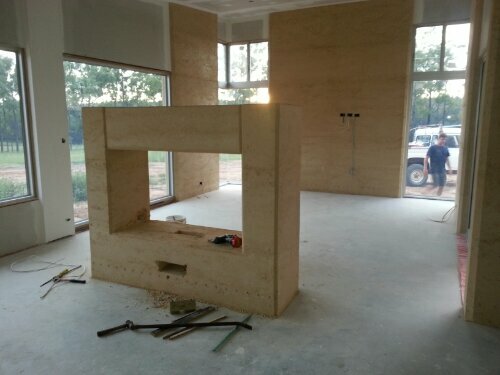 Made from agricultural crop wastes, it is ultra rapidly renewable, low embodied energy, Class A fire rating (ASTM E84), Ultra low VOCs (ASTM E1333) and is safe and easy to install. 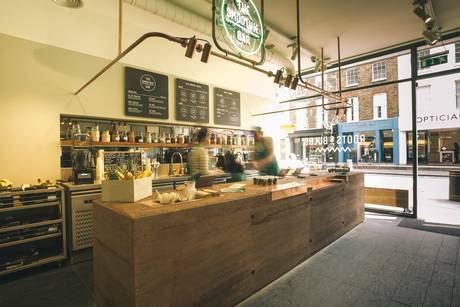 A recent article in London’s Evening Standard newspaper reports on the growing uptake of earth as a great interior product. It is all well and good that it looks beautiful, but this trend also gets me excited as internal earth and its thermal mass features have the best thermal performance attributes. Having the thermal mass internally, means it is isolated from the outside and makes it easier to store the coolth or warmth in the thermal mass. It operates like a thermos stores warm (or cold) water. if it is keep sealed the water will stay warm (or cold) for quite a long time. If you take the lid off the water will cool very quickly. If we use good cross ventilation on these walls in summer and good solar passive design to allow for heat gain in winter, the building envelope will perform exceptionally well!